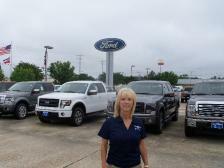 Meet the Staff at Sullivan Ford Lincoln Inc.
Hello I'm Sandra I have been in the Automobile sales industry for over 17 years, prior to that I was in the education field. I am proud to say I am Blue Oval Certified in sales and customer service! I have had the opportunity to meet and serve many of you, I look forward to meeting many more of you in the future and it is my desire to help you find the Auto that best meets your family needs and budget. I sell excitement!! 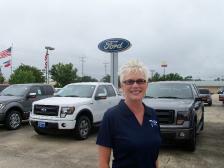 Hi I'm Debbie Bowers I have been at Sullivan Ford Lincoln for 9 1/2 years. I have lived in Lincoln county all my life and have many loyal repeat customers. I am certified in level 3 Excellence with Ford in Sales & Satisfaction! Please give me the opportunity to earn your Trust and Business. I will work hard to get you the best deal and service possible to meet the needs of your Family or Business.  Terry has been in the automotive business for over 20 years, with his experience in the sales and financing side of the automobile industry he has the knowledge to help you with all your automotive needs. Please let him know how he can be of service to you and your family! 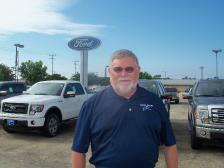 Hi I'm Rick Allgood I've been in the new and used car, truck business for over 25 years. My philosophy is I sale people not cars! So come see me and let me go to work for you with whatever your automotive needs may be! 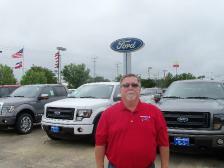 Hi I'm Jim Anderson I've been with Sullivan Ford Lincoln for over 26 years. What great people I have been able to serve over those 26 years. I just want to Thank all of them for their support all these years. With that many years experience selling Ford, Lincoln cars and trucks I will be able to help you find just what meets your family or business need. Again Thanks for your loyalty to Me and Sullivan Ford Lincoln. 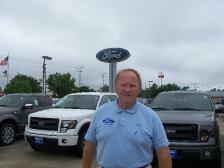 Hello I'm Kenny Lofton Sales Manager at Sullivan Ford Lincoln for the past 12 years. 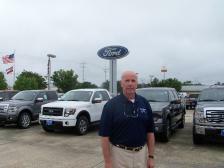 I have enjoyed working At Sullivan Ford Lincoln, where we strive to meet or exceed our customer's expectation! I want to Thank all of our customers for their loyal support and look forward to helping new and previous customers with all their automotive needs. Give us a chance and I think you will agree, WHY GO ANYWHERE ELSE!! 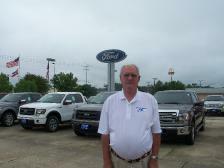 Hi, I'm Doug from Hazlehurst Ms, I have been in the car business for the past 38 years in Brookhaven Ms. I started out in sales moved to the finance office then sales manager and finally to general manager. After all those years in this business the best thing about it is meeting new people and making new friends. Call or come by to see me for all your automotive needs, I look forward to meeting you and helping you and your family become customers of Sullivan Ford Lincoln!! 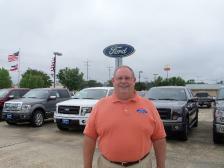 Keith May is life long resident of Monticello Ms, where his family was in the automotive industry for many years. With his 35 years of experience, he has the knowledge to help you with all of the automotive needs of your family or business. Keith invites you to call or come by Sullivan Ford Lincoln so he will be able to help you find and finance that car or truck just right for you. 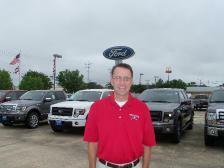 Jody our Service Manager here at Sullivan Ford Lincoln, has been with Sullivan for over 23 years. Come by and talk with Jody, let him and his staff help you with all your service needs. their hours are Monday thru Friday 7:00 am to 5:00 pm Jody can be reached at 601-833-7521 ask for the Service Dept.